﻿ Aryaduta Bali (Indonesia) | FROM $67 - SAVE ON AGODA! "Clean and nice brand new hotel." "Staff were always happy and freindly ." "The room was big, bed also big." "Near to airport and beach." 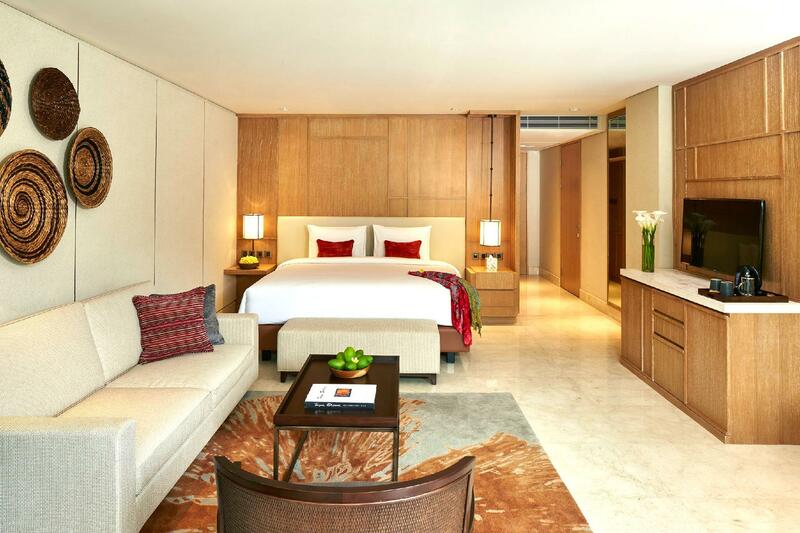 Look no further than the Aryaduta Bali for outstanding service and a truly memorable vacation. Overlooking the street, city, and garden, this property has amazing scenery. It is near Lippo Mall Kuta, Anika Tailor, Wake Bali Art Market, Gereja Katolik Santo Fransiskus Xaverius, and msc mega sari. Featuring a fitness center, a garden, and an outdoor swimming pool, it has everything you could want to make your time away as enjoyable as possible. Whether it's a bar or restaurants on-site, this property offers an assortment of dining and snacking choices for you to enjoy. With a chapel, safety deposit boxes, a salon, a convenience store, as well as a selection of shops, it provides various convenient features to make your stay more comfortable. 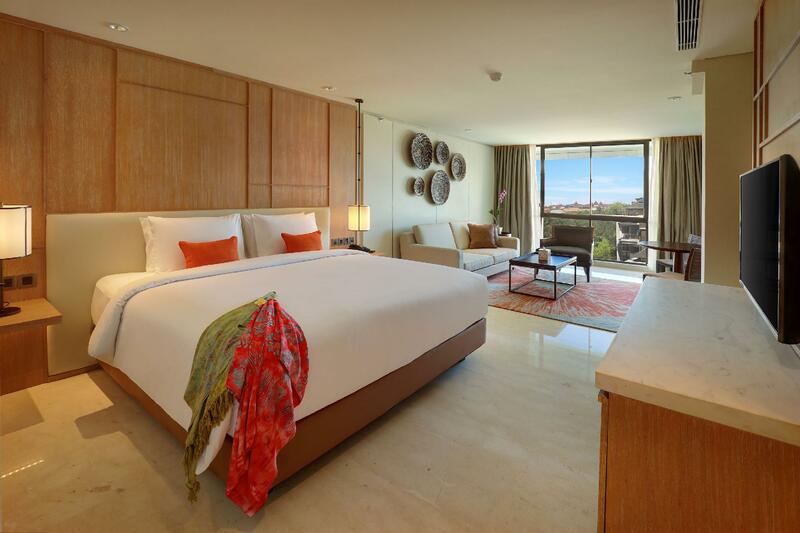 It offers family rooms, giving you space to spend time together during your stay. This property has a kids swimming pool, which will keep your little ones happy and active during your stay. With tours available, it is the perfect place to stay to learn about the area and see everything you can while you're here. 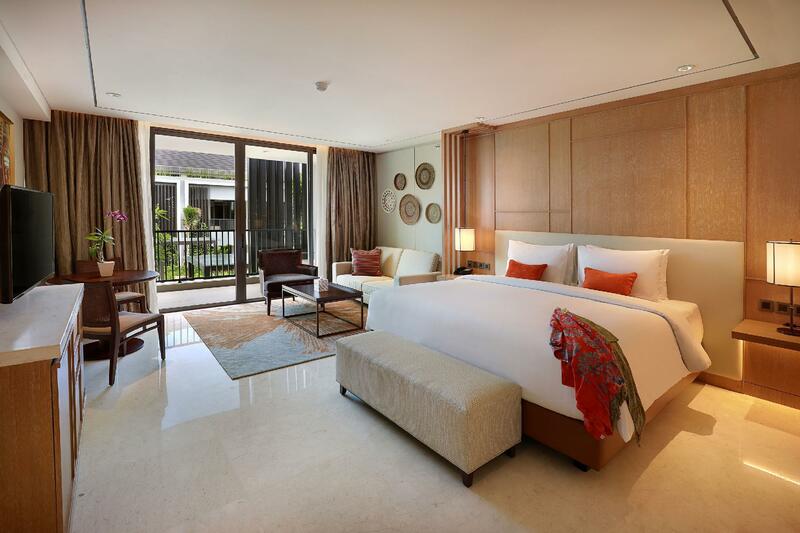 From a concierge to daily housekeeping, the Aryaduta Bali provides a variety of useful services for guests to utilize. There's free Wi-Fi available in all rooms, as well as Wi-Fi in common areas, allowing you to stay connected to your friends and family back home without overspending on roaming and data costs. With an around-the-clock front desk, this property guarantees that there is always someone on call to assist you with any queries at any hour of the day or night. It is pet-friendly, saving you the trouble of finding someone to look after your pet while you're out of town. 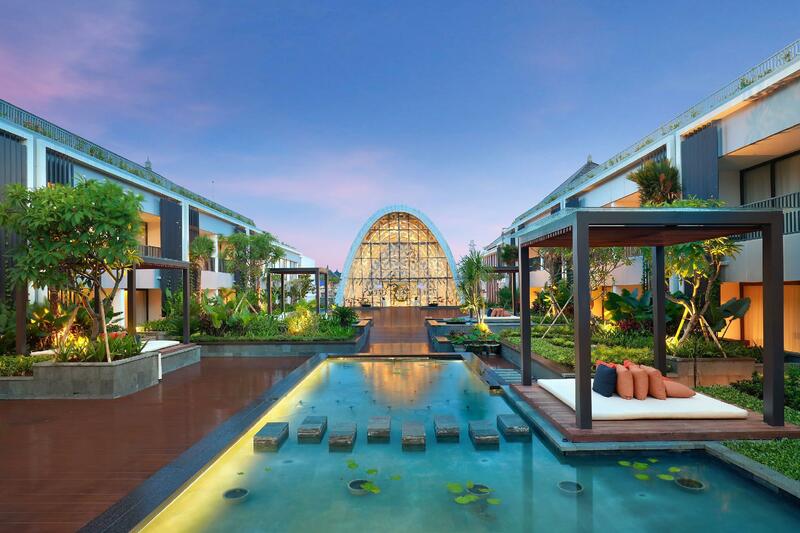 The Aryaduta Bali provides a range of transportation options, such as airport transfers, shuttle services, bicycle rentals, and car rentals. Tegal Sari Bus Terminal is 9.4 km away and Bemo Gunung Agung Bus Terminal is 10.1 km away. The nearest airports are Ngurah Rai International Airport (DPS) and Lombok International Airport (LOP), which are 1.6 km and 120.5 km away. 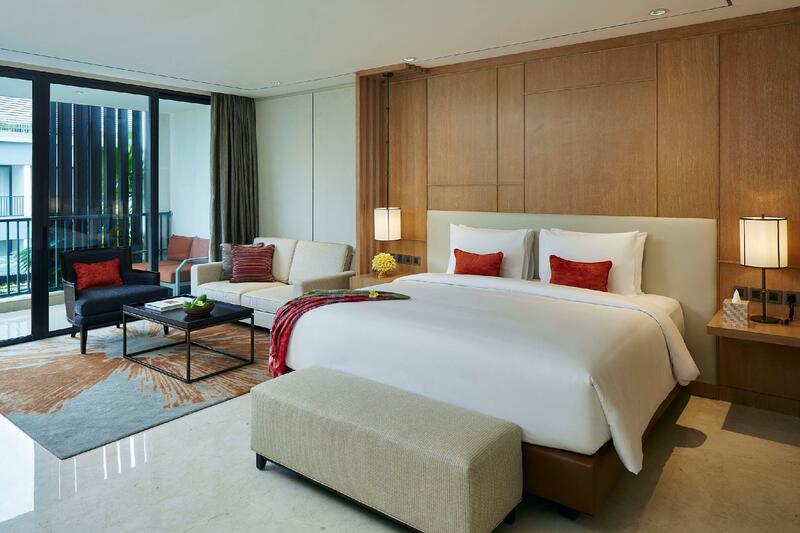 The Aryaduta Bali offers a 24-hour check in and check out service, enabling you to arrive at the time that best suits you. "Huge beautiful room,with comfortable bed but hard pillows"
Modern, Clean and large rooms are noticeable features. Carpeted corridors keep the sound to a minimum. Located on top of the Lippo Mall, this new hotel is run well and has a roof top pool with views to the ocean (beach is about 500 meters away). Plenty of restaurants, large supermarket and coffee shops in the Mall below, inter alia. Staff were friendly and helpful. Breakfast was okay but it was quite busy. Used the gym and was okay for my needs - cardio machines. I took one star off for facilities. Why? One suggestion is to provide a free kids play area for guests -this can be very helpful to those with young children. Given the size of the hotel, I think this can be accommodated without too much problem. That said, there are several commercial play areas in the Mall (basement and 2nd floor). We stayed at 7 hotels on this trip and it was only slightly eclipsed by big-brand beachfront properties (and, of which, we paid more to stay). Huge beautiful room,with comfortable bed but hard pillows.Bathroom is very big with good shower.rooms are located too far walk from elevators,they should have added another one near pool area,to access reception.Pool was lovely,but drinks are so overpriced 60,000 small Bintang.Breakfast was very average for a 5 star hotel,least favourite but Henry's restaurant at front of hotel was very nice.Staff were always happy and freindly . Our stay at Aryaduta was flawless. The staff was incredibly friendly! The breakfast buffet was huge with so many different choices and had an amazing view out to the ocean as the breakfast lounge was on rooftop. The infinity pool again with ocean views was to die for with a swim up bar. Rooms were super clean and we returned to perfectly made rooms every day. The only thing we could fault was the noise from other people in the hallways late at night (rooms not very sound proof) which didn’t spoil our trip very much. We stayed at 3 different hotels during our balk trip and Aryaduta was by far our favourite. We would highly recommend this hotel to anyone looking to stay in Kuta. Everything else is awesome except 2 things: 1. ALWAYS Request nearest room to the elevator. Else it is a 500m walk from room to elevator!! 2. ALWAYS request a room facing the chapel and NOT above the Matahari Mall. This is because the rooms Do NOT have windows that are sound-proof. Matahari Mall has bands that play all night and it is SUPER LOUD if your room is on top of the mall. Big room, new facility, nice pool & view, and friendly staff. The only thing is our room was very far away from the elevator. I spent 2 weeks there with my young family and we loved everything about it. Rooms are fantastic, great facilities and the staff are very friendly with very good customer service and specially the manage, she was fantastic. The location is ideal too. I will definitely be staying there on my next trip and I highly recommend it. I stayed at the deluxe premier room for a week. The deluxe premier room doesn’t look the same as the picture. They didn’t have the bath tub instead they only have 10 rooms with bath tub. For me that is quite a false advertisement because didn’t state at all ‘only limited unit’. And their room service is very terrible. The cup they didn’t wash it. Still have the milk stain but the cup already put upside down as if already been cleaned. They also didn’t replace the hand towel everytime. Even though i put the hand towel on the floor but didn’t give the new one. Didn’t refill the coffee and tea everyday. Lots of lack with the cleaning service. Quite disappointed with this hotel. Clean and very spacious room near the airport. Excellent and polite staffs. I would recommend booking the deluxe room instead of superior. As the superior room faces the main street it could get really noisy especially if there's an event outside. The floorplan of the hotel is quite confusing as we actually had to ask the room service staff where the elevator is as it was quite far from our room. Otherwise it's worth the money spent. For the value of money, i didn't expect it to be this good. The room is huge, staffs are very friendly, clean, and just beautiful! This hotel located in Kartika Plaza road which is adjacent with Lippo Mall Kuta. The hotel is modern style and the room is quite large. Unfortunately, there is no direct access to the beach. Location great next to Lippo mall. easy access to airport. Stayed for 3 nights in a premier room witch was excellent. Breakfast is only average. Had power problems each morning at breakfast. Maybe installing power to the breakfast area instead of running power leads would be an advantage. Check in menunggu hampir 2jam staff resepsionis yg ketus . Jarak antara loby dan kamar sangat jauh makanan biasa saja tidak sepadan dengan harganya. Tidak ada ruang kids play untuk anak . Sangat tidak merekomendasikan hotel ini ! This is a hotel, not a resort, but it is beautiful. The rooms are large, lovely bathrooms, extensive buffet breakfast, great staff, nice restaurant and built on top of a shopping centre. Its a five minute walk to the beach and a short walk or ride to Kuta city. The General Manager is out and about if you have a problem. If the price suits you, go for it, you won't regret your stay. Good hotel! nice breakfast and large room. I recommend it. Kuta beach is far from the hotel. It takes 20minutes on foot. Taxi takes 5 minutes.